12 years old Furkan, whose parents were under investigation, was denied traveling to Cuba for a cancer treatment. He died in February. Did your father ever die? Ozan came to our house on the 31st of March. His father was arrested 1 week before he came here. He is among the rare lucky people who were able to run away oppression in their home country, even though leaving a part of the family behind. It was his mom’s birthday when police raided their house to detain his father. I know you think that such scenes only happen in movies, but you would understand movies are all based on true-life stories. Minutes after we sent happy birthday wishes to his mom, and got the photos of tiny cute birthday cake through social media, police came into their house to search. It would have been very rude not to offer the cake to the guests at the house, so her mom offered some to the police chiefs who were searching every corner of the house while Ozan was waiting silently in the kitchen. Ozan’s mom and my husband are siblings. I don’t even have a blood connection with Ozan, but you might ask why in the world I care to spend time and tell his story, yet in a language different than my native tongue. Well, because our personal stories are blended in this movie in a very interesting way. I will explain. Subconscious is a very interesting place. Even I wasn’t aware of my own feelings until I gave that prompt answer to relate with him in an empathic way: “you know, I miss my dad too! He is also far away from here.” I haven’t talked to my dad since the attempted coup. Indeed, I tried contacting him a lot, on holidays, his birthday… I called him multiple times with no luck for a response. I am one of the several people, who were abandoned and refused by their families for being in opposition to the Turkish government. 47,155. This is the number of imprisoned people at the date the police came to detain Ozan’s dad. You would have seen this number in a news article regarding the great purges in Turkey and it wouldn’t matter for you a lot whether that number was 47,155 or 47,156. But for Ozan, it mattered much more than the whole universe. Ozan’s little heart, his feelings, his dreams, all he owned was buried cruelly in that number and no one would care that counter except him and other kids like him who wait for their parents freed from jail. On the other hand, no one keeps a counter for kids that are abandoned by their dads like me. In a geography, where moms gather the corpses of their kids from the trees and new moms get jailed with their newborns right after giving birth, mourning for the sorrow of people who are abandoned by their families is a luxury. Yes, you compare your pain and prioritize who to pity and mourn for in this country and my sorrow is at the very bottom of that list. I genuinely try to understand and still struggle to grasp how people can do it. This is definitely not natural, we are not made for doing this. And if parents are separated from their kids this way, it harms at the very heart of the society and I am not sure whether there is a healing from that. I still ask myself, if everything gets back to normal in the future, how will I look at my father’s eyes? Will I feel that I am looking at a dad who abandoned his daughter, or to a dad who is compassionate and supportive of all ambitious endeavor his little daughter had in her life? I try to look inside my soul, and fix myself to do the latter, and I sincerely pray for it. We gave Ozan my daughter’s room right next to our bedroom. 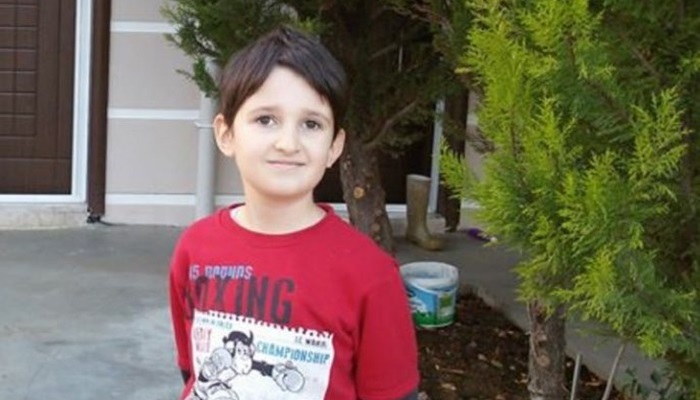 For days, we heard Ozan crying and weeping for his dad in his room at nights. I didn’t cry for not being able to connect with my dad, maybe I felt so mature to give up or I was in denial about my situation. Only in dreams, I saw him as if nothing happened, just like in old days, talking friendly and laughing by looking at each other’s eyes. It is interesting that my feelings were so mixed during the day, disappointment, anger, pity… but when it came to nights, in my dreams, real feelings from my subconscious were coming to revelation. I loved this man, as I always said he was the first man in my life, and the truth is I still love him. I care a lot about the first responses people give in traumatic situations. Ozan’s dad was a successful engineer in a private company, where they got recognition and awards at international fairs. At the night he was being detained, he was saying to his wife how sorry he was about his boss, because he would not be able to go to work the next day. I still feel so sorry when I remember this part of the story. He is for sure a man of responsibility. He still doesn’t know what he has been accused of since there is no indictment and trial date. During police questioning, the only thing he was asked was why he had an account at Bank Asya. He didn’t know it was such a big crime to have an account at a bank, any regular Turkish citizen can have account at. My husband lost his father when he and his sister were very young. They don’t have any memories of their dad. So, I was the only one at home who understands what it means to lose a dad, that you have shared memories. At this point, I related with Ozan, I looked at his heart, and saw myself, my sorrow deep down there like a mirror. With one major difference: he knew that his dad is looking forward to meeting him again and he would do anything in this world to unite with them, while I wasn’t sure whether my dad wanted to see me again. I left my father’s house to get education abroad. My father’s house was my insurance, I knew I always had a place to go back if things don’t work. I now mourn especially for the loss of that house, since I am not sure if its doors are open for me if I get back. You wouldn’t imagine how painful that is. Ozan still has his father’s house in Turkey, but without a dad in it, it is no longer a place to go back. He has to make a new home, to get used to another culture and community to survive. In short, he has to grow up very quickly. That’s why, before he left to make a short visit to his uncle who lives in a nearby state, I whispered to his ear: “Ozan, this is your home too. You can come whenever you like. We will be always waiting for you”. It’s Father’s Day. If you are celebrating this day with your dad or with your children in a “father’s house”, remember that it is a big blessing and you are the luckiest person on earth. Because, in different corners of the world, there are dads and children who cannot unite today due to reasons that no one can understand. Germany-Turkey Military Ties Unaffected Despite Incirlik Row. For Now.